This report contains 74 images copyrighted by the WSEAS. All rights reserved. Prof. Rumen Pranchov - Vice Rector of TU-Sofia. Prof. Petko Petkov - Corresponding member of the Bulgarian Academy of Sciences. Prof. Dimitar Dimitrov - Dean of Faculty of Automatics. Prof. Valeri Mladenov - Head of department Theory of Electrical Engineering. Prof. Nikos Mastorakis - Executive Director of WSEAS and Director of Computer Sci.Lab at Hellenic Naval Academy. by Prof. Nicolae Popoviciu, Hyperion University of Bucharest, ROMANIA. by Prof. Dominic Palmer-Brown, University of East London, UNITED KINGDOM. By Prof. Paul Dan Cristea, University "Politehnica" of Bucharest, ROMANIA. by Prof. Petar Popivanov, Bulgarian Academy of Sciences, BULGARIA. 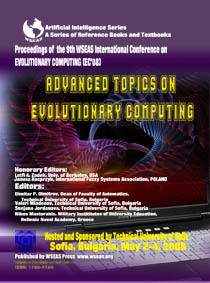 by Prof. Alexander Gegov, University of Portsmouth, UNITED KINGDOM. by Prof. Tuan D. Pham, James Cook University, AUSTRALIA. 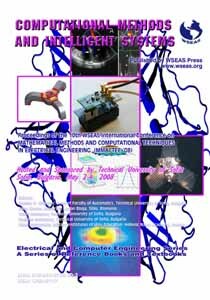 by Prof. Suash Deb, National Institute of Science & Technology, INDIA. During the Banquet, that took place in a taverna inside the University Campus, Professor Mladenov and Professor Mastorakis invited all the chairmen and co-organizers of the previous NN, FS and EC (Prof. R.Freund, Prof. T. Pham, Prof. D. Simian, Prof. A. Madureira), to address some short speeches to WSEAS participants. They emphasized how important is the collaboration of WSEAS with well-known universities (like Harvard, MIT, Cambridge (UK)) and they promised to continue organizing WSEAS conferences in collaboration with local universities for mutual academic benefits. 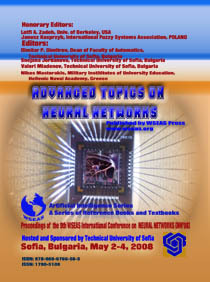 In his Speech, Prof. Mastorakis gave emphasis on the applications of Computational Intelligence in the upcoming Web 3.0, and promised to announce for a workshop or conference about Web 3.0 and Social Networking with interaction with the fields of Computational / Artificial Intelligence. The academic authorities of the university participated also in the banquet, and many participants had the opportunity for public relations and for establishing collaborations for various academic projects. The menu in Banquet included a variety of genuine traditional food from Bulgaria with local and European/International music. Almost all the participants participated in the entertainment that started from 20:00 and finished at 1:30 after midnight. During the afternoon of the third day, some attendees participated in an excursion on the mountain "Vitosha", with lift ("teleferic") with spectacular view of all the Sofia's plateau, snows and ski facilities. 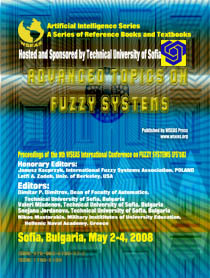 At the end, all the attendees promised to participate again in the next WSEAS Conference in Prague, Czech Republic in 2009, where the conference will take place again inside the University with support and sponsorship of the University.